- Dock Applications Folder has changed icon. - Dock Text Name is popping up above them when hovered. - Dock hover icons is already loaded before you hover them (So you don't need to wait for it to load). 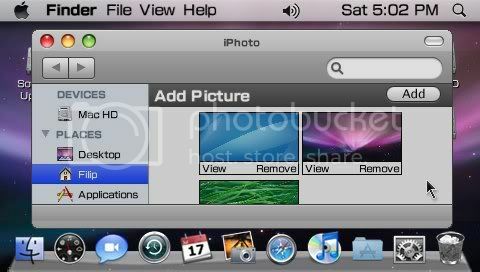 - iPhoto is now possible to start from the dock. - Time Machine has been improved (No image background to the text's frame). - When starting fullscreen applications or games, your account will log out (to save memory). You will not notice it. - You can now restart the Mac from the apple menu without loosing your whole settings. - Boot Camp has now improved its design (a little). - Login page has now a checkbox feature so you can remember the name and password (You don't need to type in them again). - In the install page, you must now type in a name to continue. All links down can you reupload ? Why are the links deleted? Don't know, but here you go. From the site.